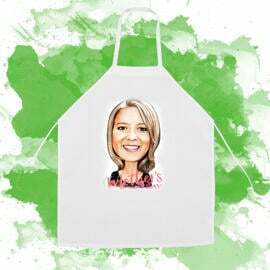 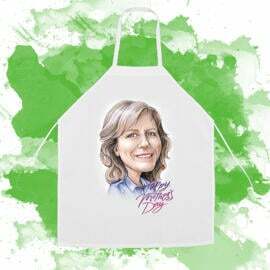 Order a cute cooking apron with a custom drawing of your mother. 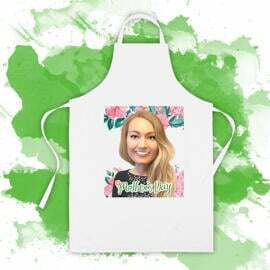 Photolamus will draw a unique cartoon illustration in colored digital style from submitted photos. 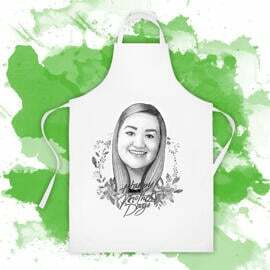 Illustration will be brilliantly suited for printing on any surface. 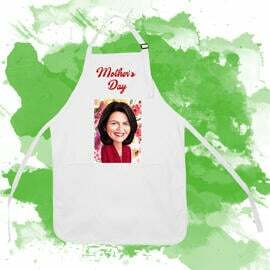 Thus, we offer you a ready-made apron for the best gift idea to mother on Mother's Day. 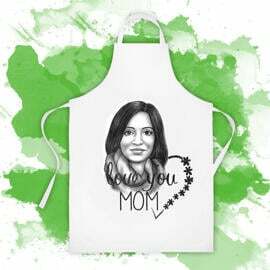 Each drawing is turned from regular photo with addition of our designs created in honor of Mother's day. 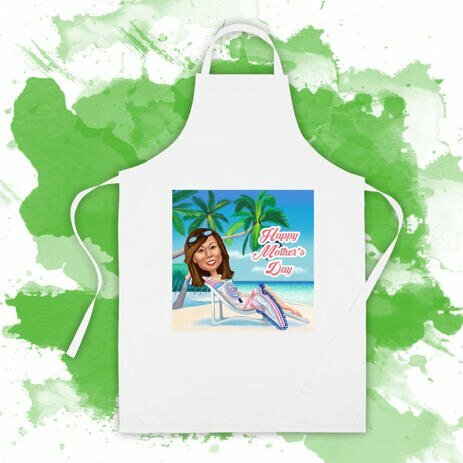 Photo aprons are delivered to any location upon request. 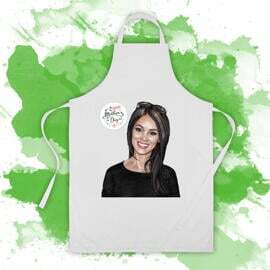 It is available to order a personalized drawing of cartoon, which will be based on regular photo of any woman and, then printed on apron as an original gift idea to your mother on Mother's Day.